Thank you! (was Volunteers Needed for May 22 Urban Assault Ride) | Break The Gridlock! Last updated on Wed, 2011-06-08 09:16. Originally submitted by Gin Kilgore on 2011-03-31 13:21. Update: A million thanks to all the volunteers who came out to support this event, which grew by 63% over last year's ride! 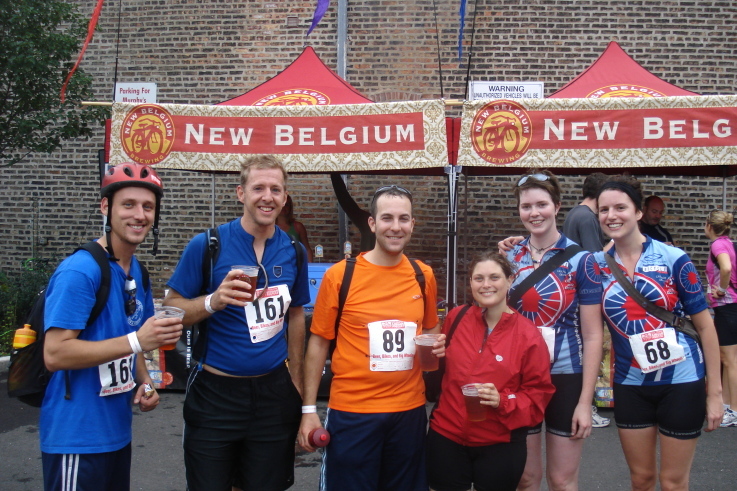 We are thrilled to announce that year's Urban Assault Ride, sponsored by New Belgium Brewing, will benefit Break the Gridlock, The Chainlink and West Town Bikes. Our task is to recruit volunteers for jobs such as beer security at Murphy's Bleachers and helping (and cheering) at checkpoints. Please consider volunteering for this fun event. Your time helps support local causes that promote biking and reduce car dependency.